Save the Dates now for our Spring Sale. Come see us March 1-2 at Otter Creek Church, 409 Franklin Road in Brentwood. Consignor registration is at capacity. To be considered for any remaining spots, join our Wait List. for supporting our 25th sale! We’ve quickly become one of the best sales in the area. You’ll find unbelievable buys all in an organized, store-like environment. Out with the old-- make money and help others. We believe consignment is good! Learn more about how to become a consignor at our sale. 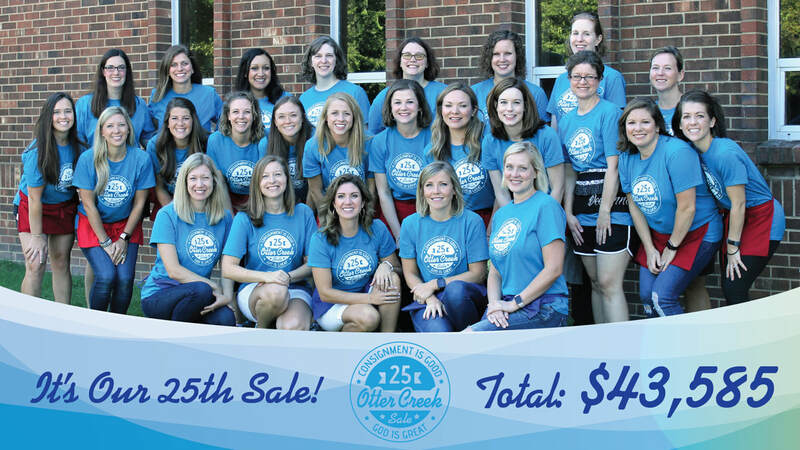 We need over 200 dedicated volunteers to make our sale a success! Come give us 4.25 hours, have fun, and shop first. All the proceeds from our sale go to fund our church's youth ministries and to child-related charities locally and throughout the world.